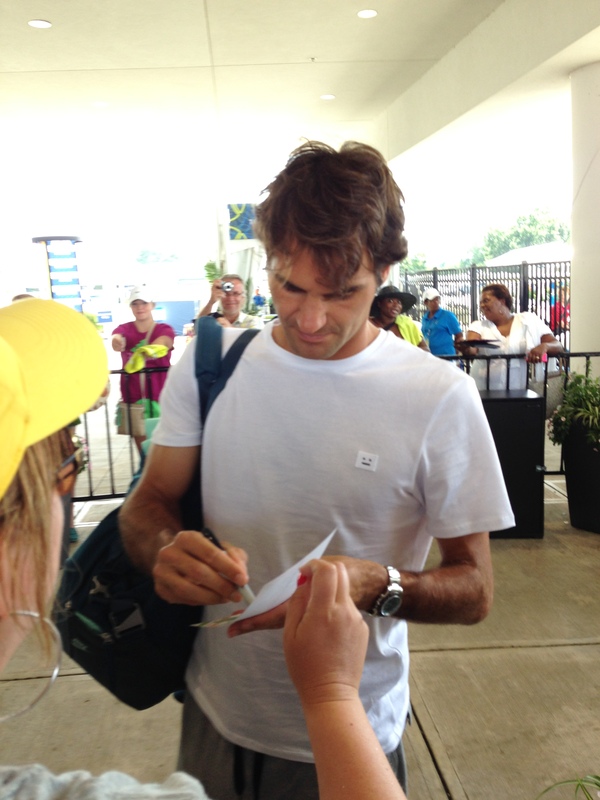 Posted in: ATP, Davis Cup. Tagged: 2014, Czech republic, Davis Cup, france, International, Italy, picks, predictions, preview, Semifinal, Switzerland, tennis, Tie. France selected clay in an attempt to neutralize Rosol and Berdych, both of whom play their weakest tennis on the red dirt. The French have many advantages here: the home crowd, the surface and the form of their players. However, team captain Arnaud Clement has made the controversial decision to play Gasquet in singles instead of Gael Monfils, who is certainly in better form, arguably the stronger player on clay and more embracing of a wild crowd like the ones that the Davis Cup bring. The selection of Gasquet will make this tie a closer affair and give the Czechs a fighting chance of going into Paris and getting the upset. Berdych should defeat Gasquet in the opening match. Barring a truly inspired display from Rosol, Tsonga will then even the tie at 1-1 heading into day 2. The remaining matches are all a slight edge to France, meaning they should take 2 of the 3 to beat the Czech Republic 3-2. Switzerland looks to continue their march to a maiden Davis Cup title and Federer looks to add the elusive Davis Cup title to his immense resume. For Italy, they are trying to extend an already impressive Davis Cup run that included Fabio Fognini routining Andy Murray in Napoli to send Italy into the semis. Fognini will need to produce an even more magnificent display of tennis and get plenty of help from Simone Bolelli, who has been preferred to Andrea Seppi in singles, if Italy is to pull off a massive upset in Geneva. Switzerland is the heavy favorite in all 5 ties and should roll at home to the final. Posted in: ATP, Davis Cup. Tagged: 2014, atp, Czech republic, Davis Cup, france, Gerrmany, Great Britain, Italy, japan, Kazakhstan, mens, news, review, semifinals, Switzerland, tennis, world group. It was a wild weekend of Davis Cup action, and upsets seemed possible, but in the end, all the favored teams advanced to the world group semifinals. Here is a review. Radek Stepanek led the way as the Czechs whitewashed Japan, winning both singles rubbers on Friday in 4 and 5 sets respectively (Stepanek d. Tatsuma Ito, Lukas Rosol d. Taro Daniel) and then clinching the doubles with Rosol/Stepanek defeating Ito/Yasutaka Uchiyama for a 3-0 victory. Rosol beat Uchiyama and Jiri Vesely beat Daniel in the dead rubbers to complete the sweet, as the defending DC champions earned a big road win and are into the semis again. France was nearly upset at home by an underdog German team that put up a good fight, but they managed to pull themselves together after an atrocious Friday singles to win a deciding fifth rubber. Tobias Kamke upset Julien Benneteau, and Peter Gojowczyk played well above his normal level to defeat a struggling Jo-Wilfried Tsonga in 5 sets, 6-8 in the fifth. Germany had 3 chances from there to clinch the tie, but never came close to doing so, as Benneteau/Michael Llodra beat Andre Begemann/Kamke in Saturday doubles, in 4 sets, and then Tsonga and Gael Monfils beat Kamke and Gojowczyk in the Sunday live singles rubbers to clinch the tie. Both Sunday singles matches were straight sets, and not particularly close, as Monfils was a big injection of energy for the French team, and Kamke and Gojowczyk returned to their normal level, along with being fatigued. A French team strong on paper, they will face the Czechs in the semis at home. In another near upset, Italy was put on the ropes by team GB but clawed back on Sunday for a big victory at home. 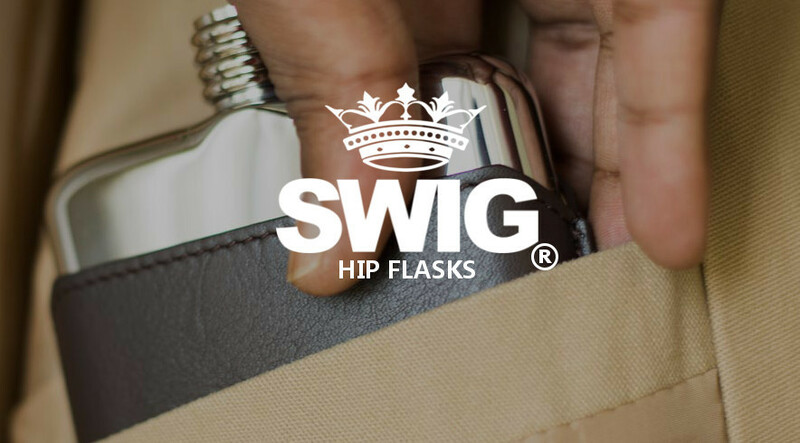 Fabio Fognini was again the hero, as he won twice in singles, on Friday with a 4 set victory over James Ward, and on Sunday to keep the tie alive with a straight set drubbing of Andy Murray. Andreas Seppi went 1-1 in singles, as he lost on Friday to Murray in straights, but clinched the tie with a straight set victory over Ward in the fifth rubber on Sunday. Colin Fleming and Murray won the doubles over Simone Bolelli and Fognini in 4 sets on Saturday to put team GB up 2-1 and a win away from clinching, but team GB was hapless from there on out. The Swiss very nearly choked in what would have been one of the biggest Davis Cup upsets in modern history, but they survived just like their French and Italian counterparts to prevail at home in Geneva. Stan Wawrinka continued his string of poor play post Australian Open, as he lost in 4 sets to Andrey Golubev on Friday, and then lost the doubles with partner Roger Federer to Golubev/Aleksandr Nedovyesov on Saturday in 4 sets as well. Federer was really the hero this time for Switzerland, as his two straight sets singles victories over Mikhail Kukushkin and Golubev on Friday and Sunday clinched the tie. Wawrinka kept it alive on Sunday with a 4 set victory over Kukushkin, credit to the Kazahks for battling hard in this one. Switzerland hosts Italy at home in the semis. Brazil and Colombia made their way to the World Group playoffs out of Americas Group 1, as Rogerio Dutra and Brazil beat Emilio Gomez and Colombia 3-1, and Santiago Giraldo and Alejandro Falla teamed up for Colombia yet again to defeat Victor Estrella and the Dominican Republic 4-1. Asia/Oceania Group 1 World Group Playoff representatives will be India and Uzbekistan, as Somdev Devvarman led India to a 3-1 victory over South Korea, and Denis Istomin led Uzbekistan to a 3-2 victory over China, as Di Wu won twice for them but Ze Zhang couldn’t do the same in a super close, competitive tie that came down to a live fifth rubber won by Farrukh Dustov over Zhang in 5 sets. In Europe/Africa Group 1 finals Marin Cilic and Croatia beat Jerzy Janowicz and Poland 3-1, as Janowicz was upset by the young and rising Borna Coric, Dudi Sela and Israel upset Blaz Rola and Slovenia 3-1, Sergiy Stakhovsky and his teammates gave Ukraine something to cheer for, as they beat Sweden 4-1, including a 13-11 final set victory by Stakhovsky over Johan Brunstrom in the first rubber and Lukas Lacko and Slovakia beat Dominic Thiem and Austria 4-1 to complete the world group playoffs participants. In a couple of notable Europe/Africa Group 2 ties, Damir Dzhumhur and Bosnia beat Jarkko Nieminen and Finland 3-2 with a live fifth rubber, and Ricardas Berankis and Lithuania beat Rik De Voest and South Africa in the same fashion 3-2 with a live fifth rubber. Posted in: ATP. Tagged: 2014, atp, Czech republic, Davis Cup, france, germany, Great Britain, Italy, japan, Kazakhstan, picks, predictions, preview, Quarterfinal, Switzerland. The 2014 DC semifinals will be set this weekend with the four DC quarterfinals across two continents. Here’s a preview of all the action. With both Kei Nishikori and Go Soeda out of this tie for Japan, their chances of advancing, even at home in Tokyo on indoor hard are severely stunted. The Czechs are missing Tomas Berdych, but they have Radek Stepanek and Lukas Rosol, plus the young Jiri Vesely, all of whom are in decent form and competitive on indoor hard courts. Japan has Tatsuma Ito leading the way, and two rising young players, Taro Daniel and Yasutaka Uchiyama, but 3 top 70 players and a great doubles player In Stepanek gives the Czechs a clear edge over a Japanese team without a top 130 player. It could be 4-1 or 5-0 to finish, depending if Ito or the young Daniel, who has been given his first call up with Japan, can grab some sort of an upset. On paper, this would be a competitive tie, but Germany is missing all of their top players (Tommy Haas, Philipp Kohlschreiber, Florian Mayer), while France is again stacked with Jo-Wilfried Tsonga, Julien Benneteau and Gael Monfils, along with Michael Llodra to play doubles. Germany’s C team of Tobias Kamke, Peter Gojowczyk and Andre Begemann for doubles is their counterweight. Even with the French team out of form, with Tsonga struggling and Monfils nagged by “personal problems”, it would take an heroic performance from the veteran Kamke and the challenger level player Gojowcyk to make this competitive. On indoor hard, at home in France, it’s hard to see a different result than France 3-0 with the tie over by Saturday doubles. Team GB has Andy Murray again, but they will be underdogs against Italy on clay in Naples. A slightly injured Fabio Fognini leads the way for Italy, backed up by the struggling but steady Andreas Seppi, and then Paolo Lorenzi and Simone Bolelli probably to play the doubles tie. Team GB has Colin Fleming/Ross Hutchins as the doubles specialist team and then James Ward as second singles backing up Murray. On a faster surface, team GB might even be favorites, and this will be the closest tie of the weekend I’m almost certain, but on clay, if Ward loses twice to Fognini and Seppi (or even Lorenzi), team GB will only need to lose once between 2 Murray singles rubbers and the doubles rubber to lose the tie. Those odds make me go with Italy, perhaps 3-2. Roger Federer and Stanislas Wawrinka lead the Swiss Express against Kazakhstan, backed up with Henri Laaksonen and Michael Lammer in reserve. Even with Stan out of form, Fed is playing well, and at home on indoor hard in Geneva they are expected to steamroll a Kazahk team made of up of Andrey Golubev, Mikhail Kukushkin, Aleksandr Nedovyesov and Evgeny Korolev. All three singles players for the Kazahks are ranked in the top 80, but Wawrinka and Federer are top ten, so assuming no injuries or funny business, I expect a 3-0/5-0 rout in this one. Posted in: ATP, Davis Cup. Tagged: champion, Czech republic, Davis Cup, Radek Stepanek, recap, Repeat. Radek Stepanek once again led the Czech Republic to a resounding 3-2 victory over a tenacious Serbian team led by Novak Djokovic. 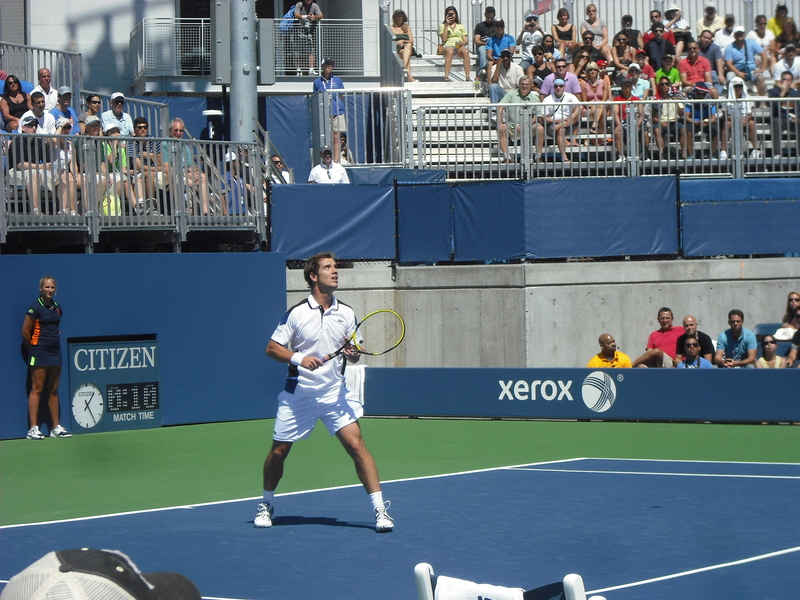 Stepanek and his teammates, including Tomas Berdych have repeated as DC champions and won one of the biggest trophies in tennis for the second time. In the first rubber, Djokovic handled Stepanek easily in straights but Tomas Berdych countered back to even the tie at 1-1 after Friday with a straight sets victory over Dusan Lajovic. 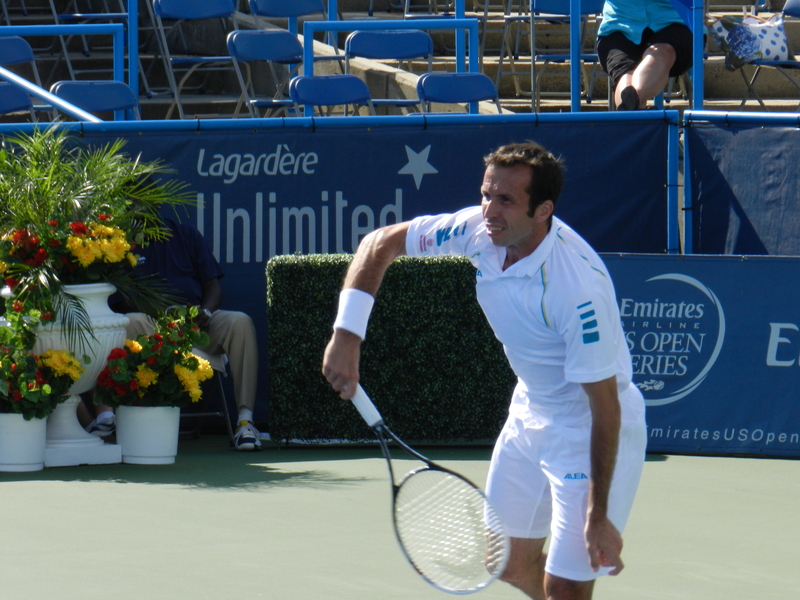 The critical Saturday doubles point was won by Stepanek/Berdych over Zimonjic/Bozoljac in straights. On Sunday, Djokovic kept the tie alive with a straight sets victory over Berdych, but Stepanek destroyed Lajovic in the 5th rubber to clinch the Davis Cup title. Serbia was clearly hurt by the fact their team was shorthanded and Djokovic could not do it all by himself. Posted in: ATP, Davis Cup. Tagged: 2013, Czech republic, Davis Cup, picks, predictions, preview, serbia. The 2010 and 2012 Davis Cup Champions battle it out starting today to crown the 2013 Davis Cup champion. Serbia, led by Novak Djokovic, will face the Czech Republic led by the duo of Radek Stepanek and Tomas Berdych. This one is expected to be close and both teams are deserving of the DC final as they are teams with talent, chemistry and desire. The final will be played in Belgrade on indoor hard courts. For team Serbia, they have Novak Djokovic, who is undefeated this fall as their number 1. He should be a near lock to win his 2 singles rubbers tentatively scheduled to be against Radek Stepanek and Tomas Berdych. Those wins would put the Serbs within one win of the tie and they would need to win just 1 of the 3 other matches. However, they do have cause for concern as their normal number 2 and 3 players, Janko Tipsarevic and Viktor Troicki are both out of this tie. Tipsarevic intended to play, though he has had a very poor season but withdrew in favor of Dusan Lajovic, a young player close to breaking into the top 100. Troicki is out with a controversial doping ban. The Serbian doubles tandem will be Nenad Zimonjic/Ilija Bozoljac who have played well so far this Davis Cup. For the Czech Republic, they have relied on the chemistry and passion of Radek Stepanek and Tomas Berdych to carry them both this year and last and it has served them well. However, Stepanek has dealt with some injury issues and his ranking and level of play has dropped a little, while Berdych was so-so this fall. Their doubles team will be Jan Hajek/Lukas Rosol. Hajek isn’t great indoors or in great form, but Rosol is a solid player indoors and his game seems to be improving from a severe slump for part of this season. The doubles rubber will be key and if Serbia can win it, they should be home free barring a massive upset by Berdych or Stepanek over a top form and seemingly healthy Djokovic. Though he has played a lot of tennis this fall, Djokovic has gotten a few days off since the World Tour Finals, which also probably helped prep him for this indoor DC final. However, if the Czechs win the doubles rubber Berdych and Stepanek will both need to beat Lajovic, which is doable, in order to win the tie for them. In the end I’m going to pick Serbia as they should win 3-1 with a dead 5th rubber (2 Djokovic singles wins and a doubles win). Serbia got a pair of singles wins from Novak Djokovic and came from behind as Janko Tipsarevic won the decisive 5th rubber in straight sets over Vasek Pospisil, sending the home team into the final. Canada’s Milos Raonic grabbed a singles win, and Canada won the doubles but it wasn’t enough as they lost twice on Sunday. The Czechs clinched on Saturday and they will have a shot to repeat as DC champions. Tomas Berdych and Radek Stepanek went 2-0 on Friday against Juan Monaco and Leo Mayer, then won the doubles over Berlocq/Zeballos to clinch 3-0. Horacio Zeballos and Leo Mayer won the 2 dead rubbers on Sunday over Lukas Rosol and Jiri Vesely. Spain blanked Ukraine, with Fernando Verdasco and Rafael Nadal winning their singles rubbers, and Nadal/Marc Lopez winning the Saturday doubles to seal it. Alex Dolgopolov and Sergiy Stakhovsky just couldn’t get it done for the away team and Lopez/Verdasco won the two dead singles rubbers. The Dutch make the big show as Robin Haase grabbed a singles win over replacement player Oliver Marach, along with a Saturday doubles victory with Jean-Julien Rojer over Julian Knowle and Marach to clinch. Thiemo De Bakker beat Jurgen Melzer on Friday in the other singles, and the shutout was completed on Sunday as Jesse Huta Galung and De Bakker added wins. Andy Murray got 2 singles wins and took part in a doubles win (with Colin Fleming) to almost singlehandedly take out a weakened Croatian team and send the Union Jack into the World Group, where Murray says he will participate. Ivan Dodig did beat Dan Evans on Friday to even things at 1-1, but fell to Murray in the first singles rubber on Sunday and that was that. Stan Wawrinka and Marco Chiudinelli got the hosts off to a 2-0 start Friday before Wawrinka and Michael Lammer clinched the doubles point to secure their continued participation in the World Group. Lammer got one of the dead rubber singles wins but Gonzalo Escobar got the other one to guarantee Ecuador got on the board. Phillip Kohlschreiber and Florian Mayer got the hosts off to a 2-0 start, but Brazil kept the tie alive by winning the doubles point with Melo/Soares. Daniel Brands beat Thomaz Bellucci in the first Sunday match to seal the result, however, and Mayer finished things off with a dead rubber win. Lleyton Hewitt and Bernie Tomic did a double punch to give the green and gold a 2-0 lead on Friday. Poland pulled within 1-2 winning the doubles point, but Tomic beat Lukasz Kubot to clinch the result and send the Aussies back to the main group. One of the more exciting ties this weekend, Steve Darcis was the key for Belgium as he beat Dudi Sela on Thursday and Amir Weintraub in the 5th rubber to clinch the tie. Ruben Bemelmans went 1-1 in singles for the Belgians, losing on Thursday to Weintraub but beating Dudi Sela in the 4th rubber. Erlich/Ram won the doubles point for Israel. Go Soeda beat Alejandro Falla in 4 sets to clinch a comeback victory for Japan. Kei Nishikori beat both Fall and Santiago Giraldo, while Soeda lost to Giraldo on Friday and Cabal/Farah won the doubles point for Colombia. This was close but Japan had more fight this time. First, congratulations to Pittsburgh native and current Maryland resident Alison Riske, who made short work of 2011 Wimbledon champion Petra Kvitova, 6-3, 6-0. Riske had only 7 unforced errors to Kvitova’s 27. 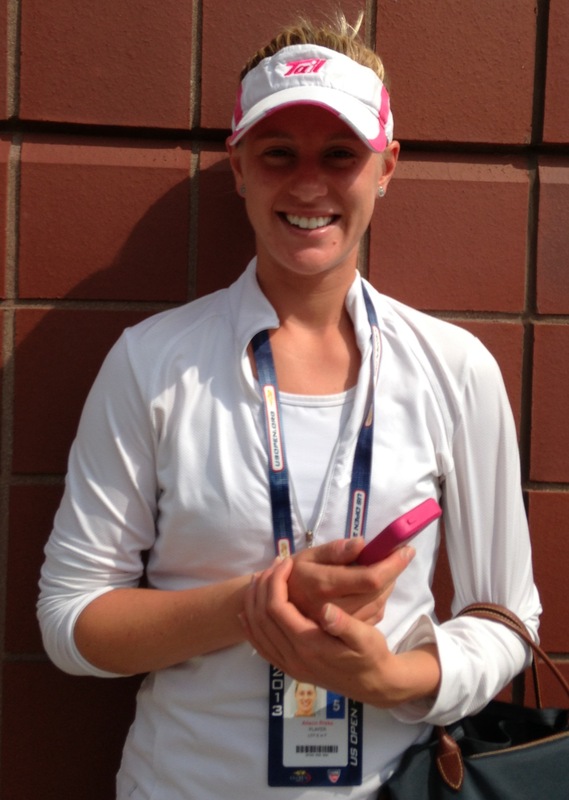 After the match, an exhausted Kvitova described laying in bed the day before the match with a fever and a virus. I watched Kvitova arrive at and leave the grounds of the US Open yesterday and her body language indicated she wasn’t exaggerating. She had a scowl on her face as she entered, probably due to pain or the thought of having to play a match in her condition. As she departed, she had some difficulty walking and carrying her bag. Czech-mate and travel companion Radek Stepanek was a fine gentleman. He noticed that she was having trouble and promptly grabbed her bag and held her so she didn’t fall over. Afterward, he saw to it that she got in the SUV safely to escape the heat and return to a Manhattan hotel room. Petra will have to try again in 2014 to win a US Open. In the meantime, Alison Riske is on to her first Sweet 16 in a slam. After surprising many at Wimbledon over the summer by reaching the 3rd round, yesterday wasn’t as big a shocker. The shocking thing was that Steps seemed so gentle and kind, like a big brother, a departure from the tough-talking reputation that he has gained on the tour.